KP Boateng, the new Prince of Barcelona! EX-GHANA INTERNATIONAL: Kevin-Prince Boateng, doing BIG THINGS! 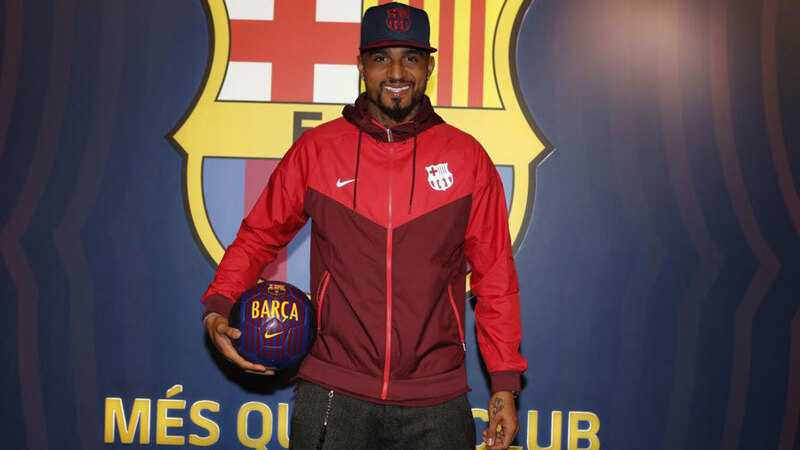 Barcelona have signed Kevin-Prince Boateng on loan from Sassuolo until the end of the season, the club officially announced on Monday night. The 31-year-old attacking midfielder will replace Munir El Haddadi as he brings more firepower and quality to the Blaugrana, with Boateng providing cover for Luis Suarez. His contract will include a purchase option that is estimated to be eight million euros. As Barcelona sought for a player to come from the bench, they had approached Alvaro Morata but he was unwilling to play a substitute role, while Carlos Vela and Cristhian Stuani were also considered. Boateng will be presented on Tuesday, ahead of the Copa del Rey quarter-final first leg against Sevilla at Estadio Ramon Sanchez Pizjuan one day later. Along with Jeison Murillo, he is Barcelona‘s second signing of this January transfer window and he also becomes the second arrival over the age of 30 this season, accompanying Arturo Vidal. This is the first time that the Catalans have signed two outfield veterans since the 2004/05 campaign, when Henrik Larsson and Demetrio Albertini arrived at the club. Boateng has experience of playing in LaLiga Santander after he played forQuique Setien‘s Las Palmas in 2016/17.